The Ashland Fire Department is a full time professional fire department with 56 full time employees. The Department has two divisions, fire suppression and fire prevention. The fire suppression division is comprised of 3 platoons working from three fire stations located at: 1021 Carter Avenue, 3101 29th Street and 4140 Winchester Avenue. This division is responsible for all fire suppression, rescue services and hazardous materials response. Additionally the fire suppression division conducts public education programs and performs company inspections of multi-family and commercial properties. The fire prevention division conducts semi-annual life safety inspections of all multi family and commercial occupancies. The prevention division additionally performs plan review on all new construction projects in areas of life safety, fire prevention and suppression. 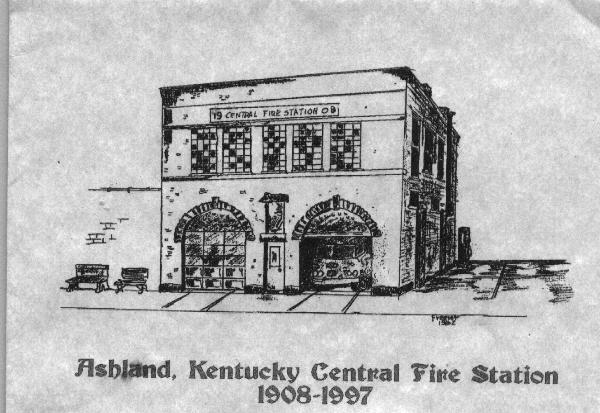 The Fire Department was founded in 1856 as a volunteer fire department and became a full time paid fire department in 1885. Over the years the role of the fire department in our community has expanded from one as a group of people you called if you had a fire, to a group of dedicated professionals who not only extinguish fires but perform other duties such as: emergency medical services as EMT first responders, code enforcement, fire prevention inspections, public safety education, free smoke detector installations, all types of rescue service, hazardous materials response and mitigation, and the list continues to grow as we strive to meet the needs of our community. The principles the Ashland Fire Department were founded upon and continue to strive to meet are dedication, determination, courage, excellence, teamwork, pride, leadership, commitment and honor.